Eight years ago, Bibi was arrested after two Muslim women accused her of blasphemy following an altercation that was sparked from the Christian mother drinking out of a communal cup. Bibi was put in jail and sentenced to death. The 53-year-old sat in jail awaiting her death sentence up until she was acquitted last month in a landmark Supreme Court case for the predominantly Muslim nation. Though Bibi’s released was seen as a positive landmark decision for many worldwide, the decision did not sit well with thousands of Islamic radicals in Pakistan. Islamic radicals quickly took to the streets in protest of the Supreme Court ruling and to demand the execution of Bibi and the Supreme Court judges who acquitted her. 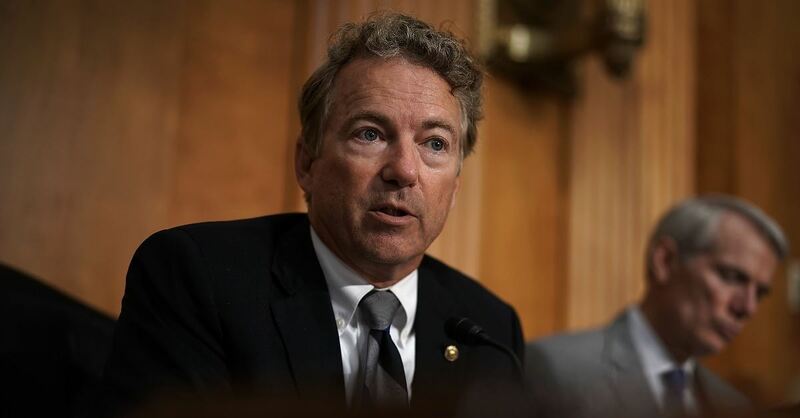 Senator Rand Paul told CNN that he is concerned for her safety and fears that if her acquittal is overturned that she would not survive. “I’m worried that she is going to be killed,” he added. Just spoke to @RichardGrenell about helping Asia Bibi in Pakistan. We are committed to working together to give her asylum in the United States. Thank you Ric for all you’re doing to assist her! Let’s make it happen. According to Faithwire, Bibi is currently being held in an undisclosed location in Islamabad that is being protected by armed guards. Reports have surfaced, however, saying that the Pakistani government made a deal with leading Islamic clerics from the Tehreek-e-Labbaik Pakistan (TLP) party – the party petitioning for Bibi’s death – and are working to have Bibi’s name placed on the Exit Control List, a move that would prevent her from leaving the country. If the review overturns the Supreme Court’s ruling, Bibi could find herself back on death row.